Buying or selling a home in Madison County is an exciting but sometimes overwhelming experience. Let a professional help! You can have the knowledge of a driven real estate professional in your corner! My name is Gena Martin, and as a REALTOR® with Hopper Properties located in Brandon, MS with a satellite office in Gluckstadt, Mississippi, I am armed with cutting edge technology, the support of industry experts, and an extensive knowledge of local market trends. Whether you are a first-time home buyer or moving to upgrade or downsize, I can help you get the best possible results at the Closing Table. My focus is on building a relationship with you so that we can negotiate the best possible home buying or selling transaction and make it as stress-free as possible. Gena is committed and dedicated to bringing her skills and expertise to real estate. She is highly focused on keeping your goals a priority. 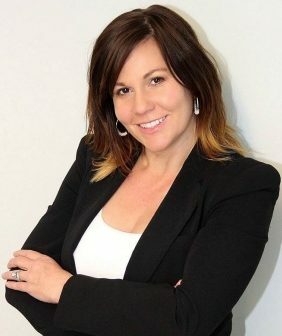 Over 20 years of experience in building relationships, ensuring client satisfaction, and networking have given her the tools to serve clients with dedication and professionalism throughout the buying or selling process. Listening to people and using her knowledge of real estate market trends in Madison County affords added-value to you. Gena is a member of the National Association of REALTORS® and the Central Mississippi Association of REALTORS® which gives her access to multiple tools to provide you with the most current information available on the housing market. Gena is highly focused on building relationships on honesty and integrity. It is her goal to have continued success in life and to use her knowledge and life skills to guide others in achieving their own success. This level of commitment to her clients is what has grown her business. Her past client’s continue to return and refer their friends and family. At Hopper Properties we have a philosophy of true concern for the well-being of others. It is at the core of our performance. We are each dedicated to sharing our knowledge and insight with each other as well as with our clients. We believe transparency and sharing to be the key to a successful outcome in not only business dealings but in all of life’s endeavors.